It's true that there are only so many hours in the day, and also you already have almost all of these loaded. Are you not able to use some useful cleaning tips to get your thought the day? As a working person in Singapore, you have your hands full! Working a full-time job, finding time for the family, and trying to be a good loved one leave little time for much else, like finding some free time for yourself or cleaning your home. There is the option of having a cleaning service to clean your house, but having a house help at your home for several days a week is expensive, of course, if you are like many guys today you are trying to find some means not to spend money but to save it as much as possible. We are left trying to find a chance to clean the house amid everything else that is happening in our lives. Everything is not lost, while your home may well not complete some world cleaning test, you might have a home that is neat, arranged, with clean kitchens and bathrooms, all fit into your busy schedule. Consequently, what advice and tips are available to the active working person in Singapore? Some of that which we write about in our cleaning guide is to coordinate yourself and develop a plan of attack. The primary element to maintaining the hygiene of your home with the limited timeframe you have available for doing laundry, folding clothes and scrubbing the floor, is having a plan, corporation, and using your time wisely. If you are thinking, "Oh, that isn't important"... STOP, the secret to accommodate cleaning when time is restricted or to speed cleaning is to develop an overall strategy of what you want to accomplish and how you will accomplish it. Read on some more and get great and straightforward home cleaning tips that you can easily follow today. 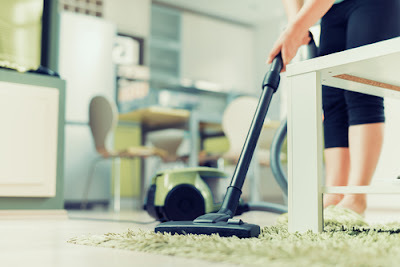 So to help us get a handle on how to clean our home with the little time available to most working people in Singapore, we have to look keenly to these cleaning tips. • Come up with a Strategy. You need to determine what it is you want to achieve. 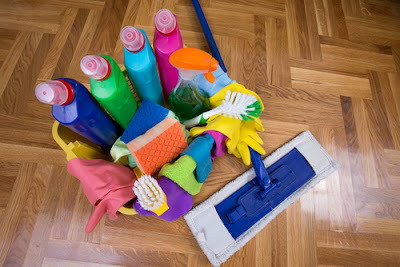 Are you expecting that your home window and walls and floor coverings will be spotless all of the time, or might you simply like to have your home fresh and orderly during the week, and tackle the big projects like cleaning the toilet, polish furniture, and removing tile discolorations for the weekends? It is necessary to have cleaning strategy for two reasons: -It gives you some serenity of mind understanding what is important and precisely what is not when everything different in your life is so busy. -it allows you to develop a plan of attack to perform the house maintenance and cleaning during the week. • Set up a plan. The next thing is to develop a plan for how we will complete our overall cleaning task. This program does not need to be elaborate, neither do you need to spend a lot of time within this, but it is important that you write your plan down so you can pertain to it later. The cleaning plan should be broken down into Daily, Weekly, Monthly, and Each year areas and list what tasks should be achieved in each field. Giving an example, the removing of a garbage can you wish to be done every day. However, the bathtub only needs cleaning once a month. It is not common for a few homes to clean their upholstery every day, but for the correct maintenance of your furniture, you will need to ensure they get a good cleaning once a year. • Allocate task to other family members. You are not in this alone. When you have your plan created, you need to assign all of the required tasks to the other close relatives. 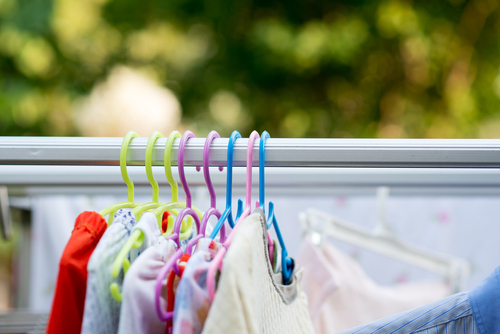 Frequently mom is in charge of the bulk of the home cleaning, the family housemaid, but if mom is also working this sets an important burden on her. Consequently, let us balance force and get everyone on the house cleaning plan. Every member of the home will have daily, weekly, and long run cleaning chores. • Put the Plan into action. It is the time to put the plan in action. Everyone has assignments and knows what needs to be done; you now just need to monitor their progress. In essence, you are transformed from a maid into a task manager, carefully following an improvement of all of the cleaning and maintenance activities. Your little army of dirt makers is modified into dust buster's, your little band of house cleaners determined to remove the home of unneeded dirt, odors, and spots! Ok, maybe I received a bit carried away, but you will see an improvement in the cleanliness of the home and the personal responsibility of the rest of the family. • Review your work. It is crucial and should not be ignored. Occasionally you need to go over your programs and ensure they are still working. It actually could be part of your plan, to review once a quarter to conclude if the household cleaning is certainly going as planned. Considerably more often than not you will make some changes to the cleanup plan, and also, you are encouraged to review the program more frequently in order fix in changes that will enable it to work smoothly.